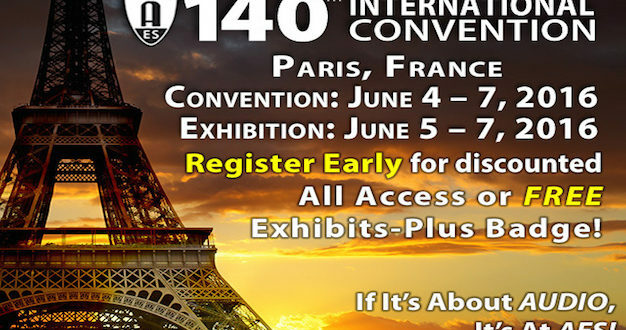 The Audio Engineering Society has announced the topical schedule for its paper presentations and lectures at the upcoming AES 140th International Convention at the Palais des Congrès in Paris, France. 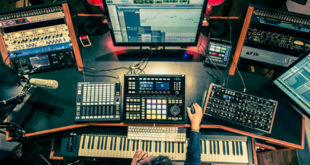 The convention, the events programme of which was released last month, will host four full days of topical paper sessions covering the latest research in immersive audio, audio equipment and delivery, audio signal processing, live sound issues, acoustics, and more. 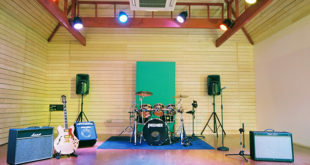 Saturday’s paper sessions will offer a number of presentations on the topics of audio equipment and formats, instrumentation and measurement, audio signal processing, and room acoustics, while Sunday will add offerings related to audio perception, live sound production, upmixing, audio quality, content management and applications in audio. Day three paper presentations include further focus on perception and audio signal processing, live sound practice, rendering, human factors and interfaces, recording and production techniques, rendering systems, and human factors and interfaces in audio. Immersive audio paper sessions will be presented on the final day of the convention, along with further presentations on perception and rendering, human factors and interfaces. 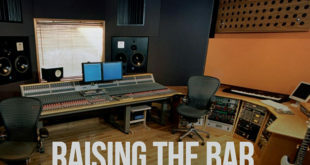 Sessions have been reviewed and evaluated by convention papers co-chairs Thomas Goerne, Wolfgang Klippel, Bergame Periaux, Robin Reumers and Dejan Todorovic, assisted by a number of external expert reviewers from the AES audio community. Complete AES 140th International Convention paper sessions and presenters are available on the AES website here and via the AES Events mobile app.